Most nature lovers would not think twice before getting their hands dirty in the garden. Like all things around us, there are pros and cons while enjoying gardening – “You Are Bound to get Gardener’s Hands”. As a gardener, I love Mother Nature and everything about the outdoors. It gives me a breather to step away from technology and feel life with my own hands. However, I am aware of the flipside; that gardening always seems to spoil my hands, so much so that I spend more time on aftercare of my hands than in actual gardening. After long hours of gardening, one’s hands are bound to get cracks on them, with dirt embedded in between the fingernails, and the skin feels stretched and dry. It is an uncomfortable feeling, especially on a weekend when family and friends are visiting. All this can be avoided if one gets into the habit of wearing gloves when entering the garden. Wait a minute! Unfortunately, there is one slight problem. The gloves available in the market are usually made out of fabric, that gets dirty very quickly, and are simply very clumsy when it comes to work. So either one keeps multiple pairs or uses gloves to get their work done. Although, they may be expensive for everyday use and also a problem when using garden tools for basic seeding purposes. Nonetheless, there is an answer to this most common complaint from gardeners. 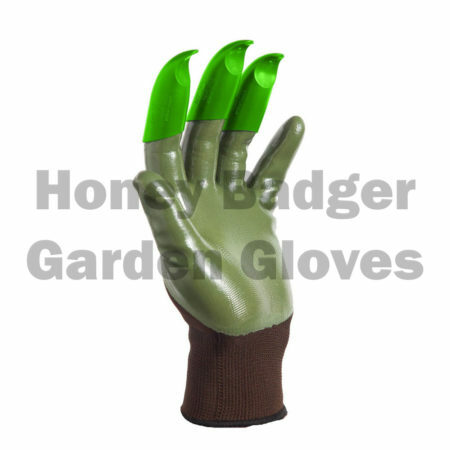 A pair of gloves that are designed keeping in mind durability and comfort of the gardener. The gloves by ‘Honey Badger’ are designed for the toughest of challenges in the most demanding settings. The claws are essentially the best find that is used for digging. These are in actuality like a gardening tool that fits in comfortably like a glove. 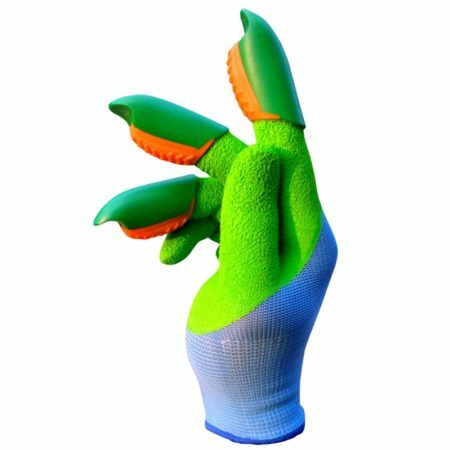 The claws are made of long-lasting plastic, that keeps fingers safe from getting sore, as it has a little gap called the ‘Isolation pocket’ that allows the claw to bend away keeping the fingertips safe. 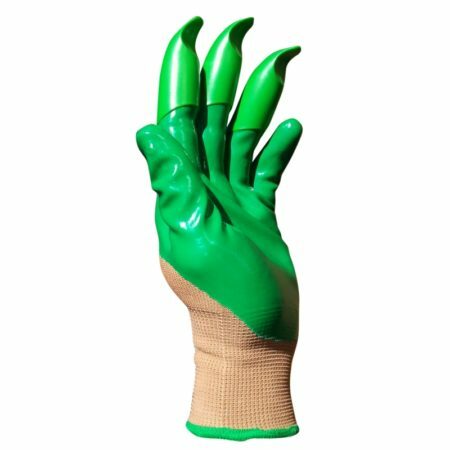 The gloves are made out of eco-friendly materials, and latex. Most of all these gloves are washable coming in bright colors that are easily visible from afar in case they are left behind in the backyard. 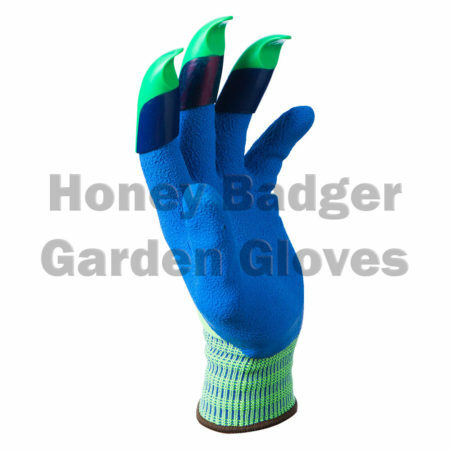 The gloves are tested for extensive digging in the garden and lasts approximately for 200 hours. 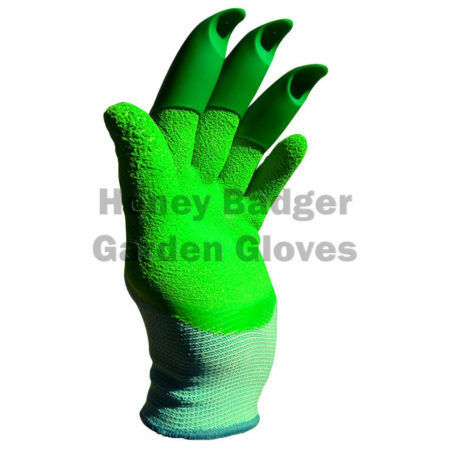 So in short, the gardening tool in hand is in the shape of a glove that grips in well around the wrist managing to keep dirt and grime out of the gloves especially while pulling up plants or weeding. Moreover, the elasticized cloth keeps dirt completely out of the gloves itself. 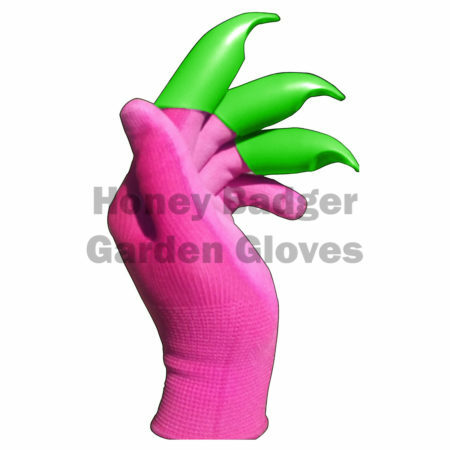 These gloves with its claws provide the biggest advantage for digging as deep into the dry or wet soil with less pressure on the fingers. 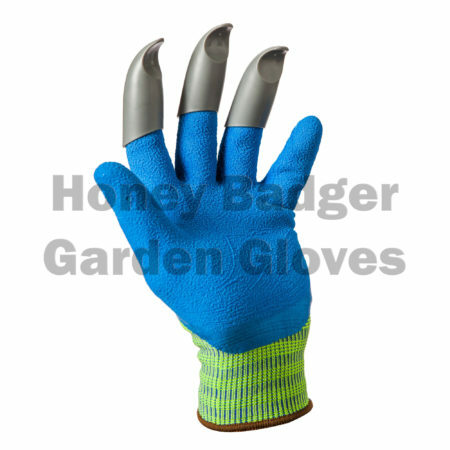 Plus, it keeps the hands safe from getting cut or spruced while using other gardening tools like a digger or pruning knife. The product is a must buy for all those who like to delicately work on their gardens.